Moz founder Rand Fiskin is one of the world's foremost experts on SEO. 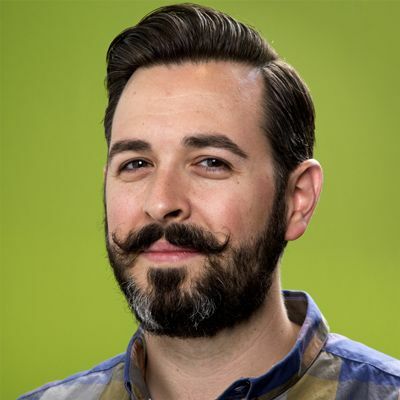 While Sam brought back a ton of powerful new information, the highlight of the conference for him was the keynote presentation from Moz founder Rand Fiskin, famous industry wide for not only his powerful SEO software and uber popular White Board Friday videos, but also for his trademark mustache. In many ways, Rand’s presentation (check it out here) was about the future of Google’s search algorithm. Although Google rarely comes out and says how it’s going to change its algorithm, Rand has done a great job in the past of anticipating and preparing for changes, thus catapulting him to one of the United States’ foremost experts on search engine optimization. This year, Rand focused on how Google will likely move toward measuring not only the content and structure of your website, but how your website serves your visitors. He said that in the past Google has looked mostly at the inputs – the content on your site, the structure of your site and the profile of links coming into your site. But, over the years people have tried to game this system, making it necessary for Google to continuously update its algorithm. The whole purpose of Google search is to provide searchers with the best answer in the least amount of time. In the past, the best way to do this was to measure the site’s authority based on its back link profile and determine relevance to the query based on things like on-site content and the relevancy of linking websites. But, Rand thinks things are changing (or will change). He anticipates that Google will begin measuring the outputs of the website, if it hasn’t started already. So, what are these outputs? For Rand, outputs are metrics measuring how well your website serves its visitors. Every day Google tracks the performance of your website, measuring things like bounce rate, time on site, pages per visit, etc. It also measures the click-through rate of search engine results and whether or not searchers are returning to the search results to find a better answer or if they’re going back and modifying their searches. Rand expects Google to start using a process called machine learning to detect patterns in searcher behavior and better understand how all this affects a searcher’s satisfaction with the results it returns. The theory behind all this is that Google will use this information to determine if your website is helping searchers solve their problem. If it is, expect Google to rank your website higher. If it’s not, then expect Google to rank your website lower. Generally speaking, for vacation rental managers ranking higher in Google search results means more free organic traffic and more bookings. Are travelers finding what they need when they come to your website? Do you make it easy for travelers to accomplish their task (i.e. make a booking) when they hit your site? Is the content on your website relevant to what potential guests are searching for? So, what specifically do you need to worry about? Here are a few tips from Sam (via Rand). Is the information easy to consume? Is it relevant to their needs? Does it use related keywords? Is the information unique or at least better than on other websites? Does it help searchers fulfill their end goal? They may search for “vacation rentals in Tybee Island, GA,” but what they probably want to do is find and book a vacation rental on Tybee Island that meets all of their needs. Make sure your meta titles and descriptions – the snippets Google displays for search results – are amazing. It will help you achieve higher than average click through rates (and help increase your ranking for search terms). Does the meta title summarize the page? Can they trust the URL? Does the meta description get them interested enough to click? While Google says that it doesn’t use social signals in its algorithm, pages that get more shares and social engagement generally perform better. Make your content shareable on social media channels. More shares means more clicks, more traffic and more conversions (more bookings). In the end, Rand says that marketers need to optimize for two algorithms: one based on inputs (makes Google happy) and one based on outputs (makes searchers happy…which makes Google happy, too). So, don’t just build pages for search engines or just build pages for people. You need to build pages for both. 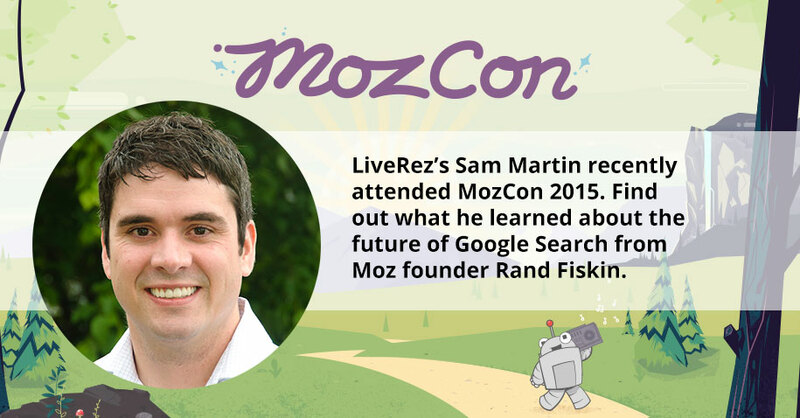 Have more questions about LiveRez SEO/SEM manager learned at MozCon? Shoot Sam an email at SEO@LiveRez.com.